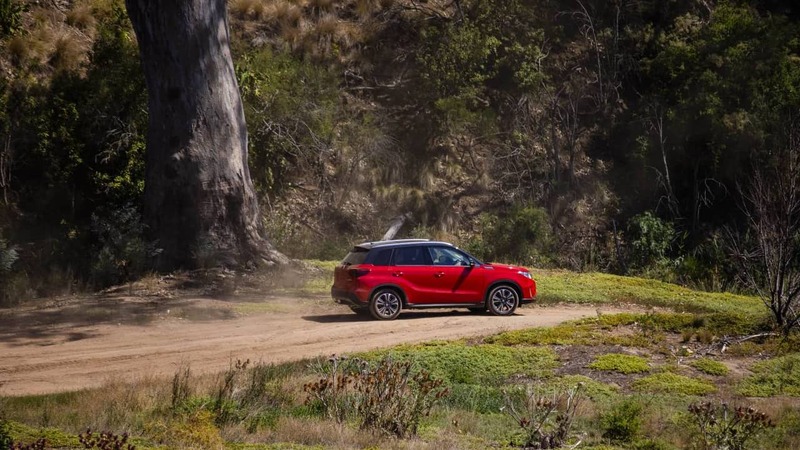 We drove off in the Vitara Turbo AllGrip, top-ranker of the three-model range, and almost immediately heard a persuasive ‘thud’ from somewhere within. It happened on take-off and stopping, and it took a while to track it down: turned out to emanate from the near-vertical glovebox, where the almost 1kg manual did a stop-go pendulum movement. We’ll have a look at it a bit later. 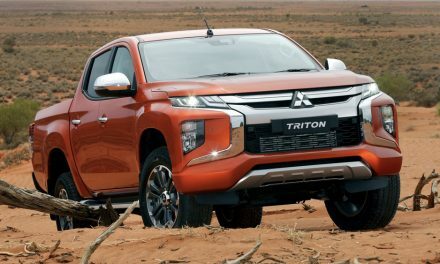 Vitaras can be had with a 86kW/156Nm 1.6litre petrol motor and manual transmission from $22,490, with auto transmission for $2000 more, a 103kW/220Nm 1.4litre turbo and auto shift from $29,990 and the same, but with AllGrip (all-wheel) drive from $33,990. 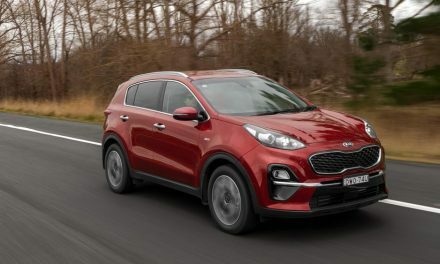 The Hungarian-built vehicles are easy on the eye, nicely put together and the turbo models comes with safety upgrades like autonomous emergency braking (AEB), lane departure warning, weaving alert, adaptive cruise control, blind spot monitoring and rear cross traffic alert. New items in the cabin are a front sliding arm rest, soft touch dash and an improved 4.2-inch colour LCD in the dashboard meter cluster. Styling updates include LED headlights, a new front bumper, a restyled chrome grille and two-tone 17-inch alloy wheels, ours running on classy Continental Eco tyres. We liked the seats in our Allgrip, which not only looked pretty schmick in black suede with a diamond pattern, but provided impressive support and firm comfort, and made getting in and out of the car easy and elegant. There’s a neat-o little clock in the middle of the dash, the colour info screen has sat-nav, a good rearview camera, and Apple CarPlay and Android Auto and the entire interior is bright thanks to a vast panoramic sunroof. 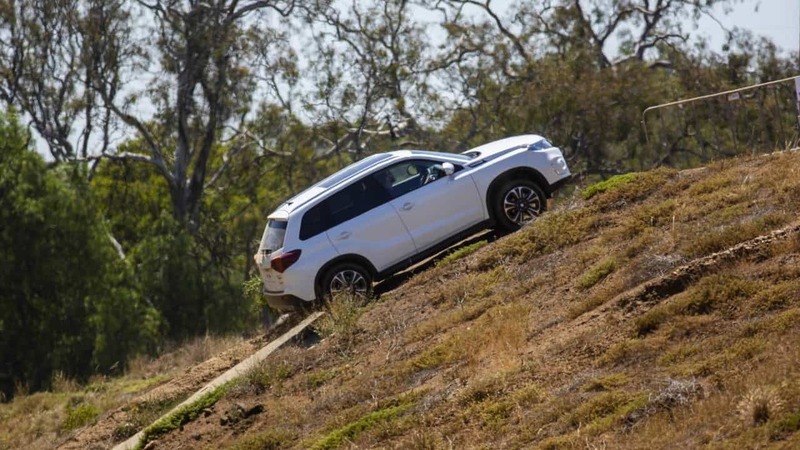 A rotating dial on the console lets you choose from four drive modes: Auto, Snow, Sport and Lock, but with road tyres and no low gear ratios, it’s obviously not meant to be subjected to the rocky horrors of the Oz Outback. Still, it does have hill descent control, should you whizz down your driveway faster than expected. 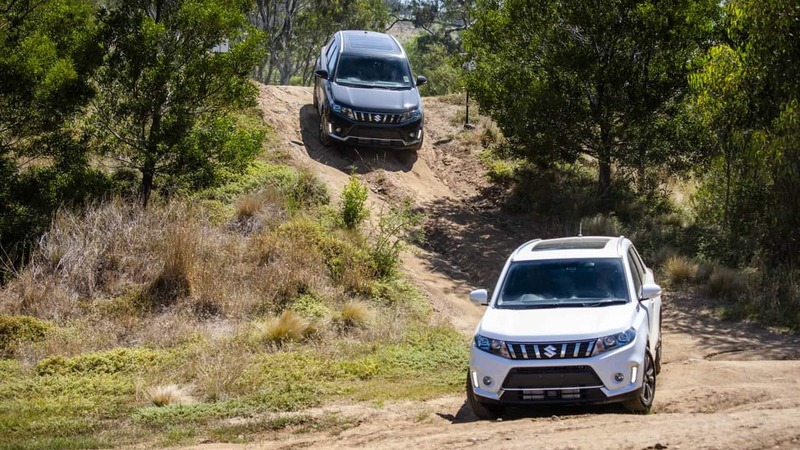 The all-wheel drive’s main attribute is to give greater stability in everyday driving. With temperatures hovering in the 30+C range all week, we never saw any sign of snow, but we did selected Sport a few times – it ups the revs by about 500rpm and makes for competent traffic light grands prix sprints and also directs more drive to the rear wheels for better cornering – and the Lock switch does not lock any differentials. 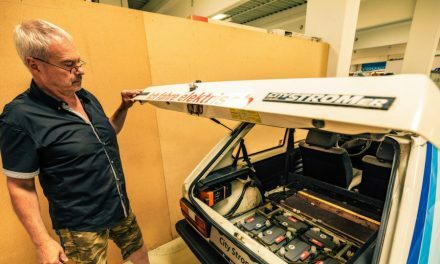 Rather, it gives almost even distribution of power to all four wheels (the car usually runs in front-wheel drive for optimum fuel economy). 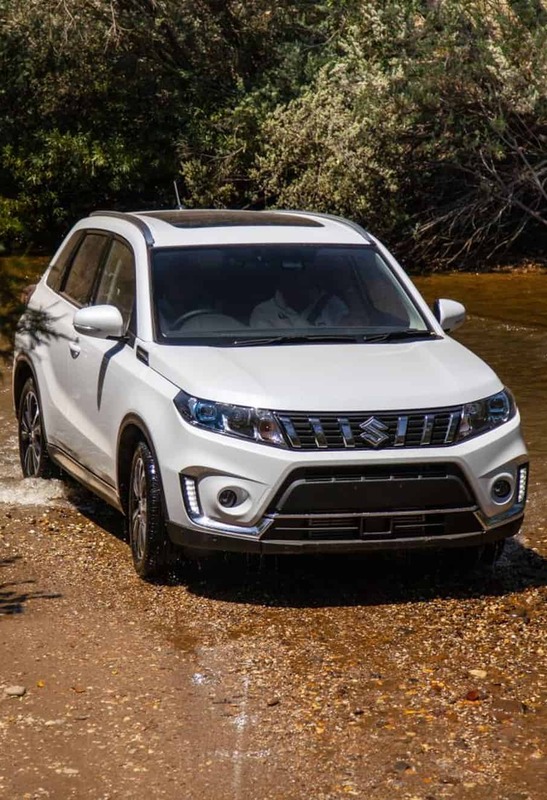 The Vitara is a compact SUV, so the cabin centres on practicality, rather than space. It will seat five, though those in the back had better be kids or good friends, but there’s a fair bit of onboard storage fore and aft with 375 litres of space in the boot, expandable to 710 with the rear seats folded down. For plug-in gadget types, there’s a 12-volt and a USB socket in front, and another 12-volt outlet in the boot. 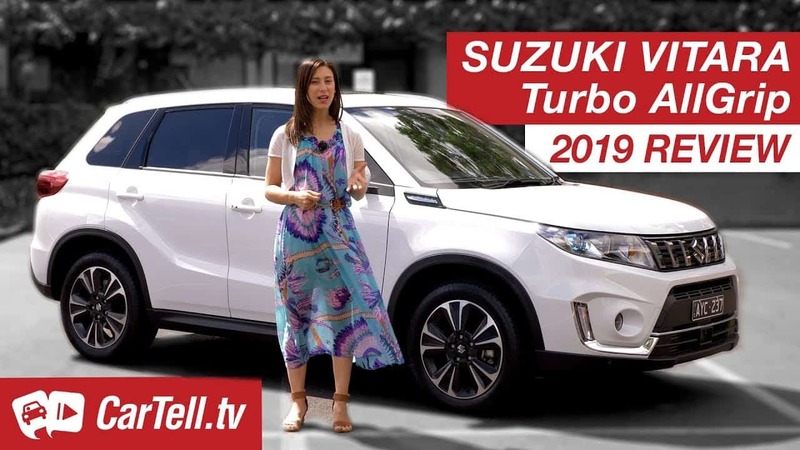 It’s a very driver-friendly beastie with decent performance (0-100km/h in about 8seconds) and performance-minded drivers will notice a hint of turbo lag when squirting out of a corner. But you need to keep an eye on the speedo, because the Allgrip weighs only 1235kg and gets up to speed pretty smartly. We stayed in Auto for most of the test, and recorded an average of 6.3litres/100k. That’s very good, indeed. 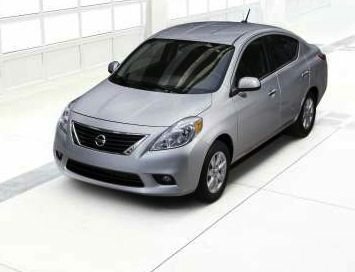 Also, it comes with a 5 year capped price service warranty program and roadside assist. The owner’s manual used to be essential reading – but that was in the 1950s and 60s when it comprised anywhere from 14 to maybe 60 pages. These days, due to all manner of rules, regulations, political nonsense and suchlike, it’s become an impossible document. 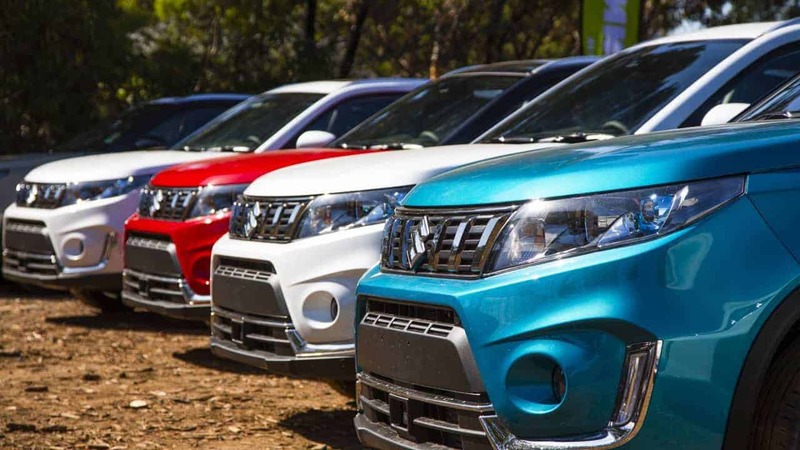 The one in the Vitara, for instance, will probably never be read from cover to cover. Then there’s the 56-page warranty and service booklet and another on how to work the infotainment system, which runs to 66 pages. Dear God. And should you have the misfortune of needing to change a wheel, well, the back pages of the manual tell you how to work the jack and what to do. Tip: Just use logic. It’s a regular scissors jack, not much IQ required to figure it out. If you read the ‘how to’ bit, also in 23 languages, the type is so small you’d go blind before you get the first wheel nut undone. Also, pedants might complain that the 23 languages do not include Swahili, Fanagalo or Icelandic. If they do, prepare for a bootful of manuals in the cars of tomorrow. I checked with my cardiologist and he wasn’t sure if I had enough time on my side to read the entire manual and the service and infotainment publications. 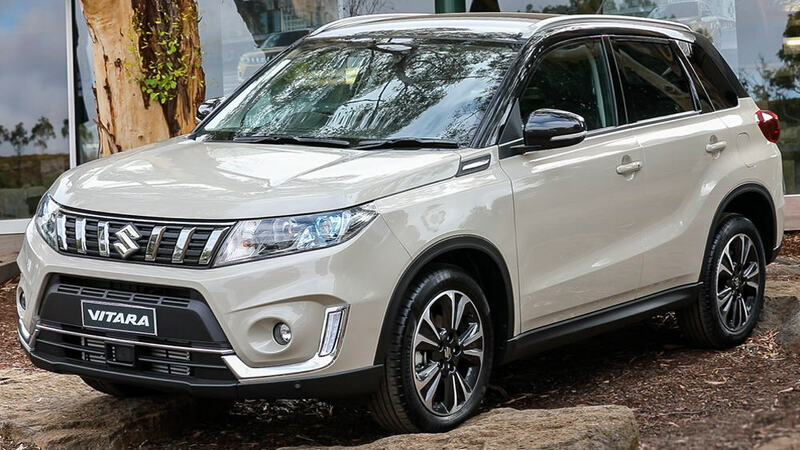 Verdict: The Vitara AllGrip is a neat little number with a lot of appeal: looks good (especially in optional two-tone paint), runs nicely, easy to park, uses very little fuel and is pretty well priced too. And the owner’s manual will fit snugly in a front door pocket.